"Never a lender, nor a borrower be…"
Well no disrespect to Lord Polonius, or to Shakespeare, but some of the best books I’ve ever read were loaners! 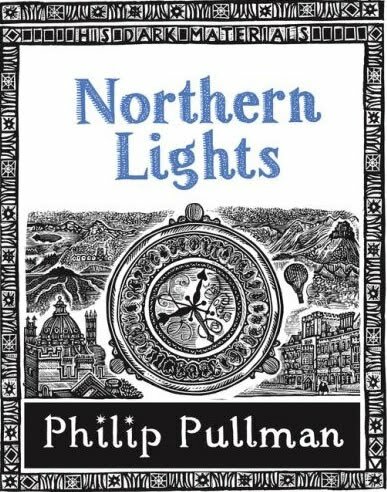 Soooo, I just lent a dude I work with my copy of Northern Lights, the first in the ‘His Dark Materials’ series, by Philip Pullman. I really, really, really want him to enjoy it. More importantly, I want him to ‘get’ it. I love lending books, but the majority of the time, it doesn’t really bother me if a person hates it, likes it but less than I do, or make it their latest obsession. In passing the book on, I’ve done my duty. I’ve shared the love, paid it forward and all that. Don’t get me wrong, it’s a fantastic feeling when you ‘match’ a book to a person and start off a whole new area of interest in them (it’s happened to me like 4 times this year already, all thanks to @BookElfLeeds – Shardlake – CJ Sansom ; also the Daisy Dalrymple series – Carola Dunn, the Chronicles of Ancient Darkness – Michelle Paver and…dammit, I’ve forgotten the last set, but I’m sure you get the gist!). You have the satisfaction of having a new convert to chat with, and immense feel-good-i-ness (yes, I may have just made up that last word), and of course, having started the ball rolling, more book lending can commence! But I also recognise that we’ve all different, we all have different preferences, and what works for me might not for you, so, usually, I leave books as a subjective experience, and try not to take it too personally, whether positive or negative. Except, very rarely, once in a blue moon, and when the clock strikes 13; you read one of THOSE books. You know, the one that you can’t put down, that makes you think, that you’ll forever have a copy on your bookselves. THOSE books are a lot harder for me to lend out. Because it really does matter to me that you get them, that you appreciate the wonder, language or world created. And, in the case of Northern Lights – a book that was written as a direct contrast to Narnia, and the established literary world with reagrds to children and religion (though there was no need for the author to have a pop at CS Lewis, whose books still bring me joy and delight) – I feel that anything less than complete and utter adoration…well appreciation anyway, will not be sufficient! Are you seeing where the stress comes into play?!?! Right, I’m resolved. No matter what my work mates response, I’m going to stay cool. I will not use the word WRONG, or UNINFORMED, or TASTELESS (all have been thrown at me in the past and it hurts man…)I will not pluck the book out of his hands to show him what he missed, and I will NOT force the remaining books in the series on him. I’m going to be a grown up about the whole thing.